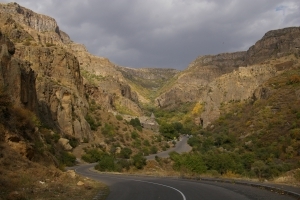 Compare low cost car hire in Armenia. Cheaper SUV & Minivan rental prices with CDW in Yerevan. Select your hire car in Armenia here, for downtown Yerevan or at the Zvarnots Yerevan International Airport. We have discounted rates from Hertz and Sixt, so book with confidence with well known brand names. They offer vehicles from small city cars, to the SUV like Prado and Landcruiser, or for the larger group, we have minivans that can seat nine people. You can collect vehicles either at Yerevan Airport, or downtown. Cars are driven on the right. Sixt have cars at the airport, whereas Hertz offer a Meet & Greet service. The same types vehicles are available at both locations. Free cancellation, amendment and unlimited mileage. Both companies offer optional Sat Nav, but Hertz also have a mobile phone and/or wi-fi rental service available. Summers are long, warm and dry before winter comes, when gets cold and snowy. If looking to buy a wee dram of whiskey in Armenia, then you will need some Drams on you to buy it. Armenia is a meeting place between the west and the east, in what is called EurAsia, as two of its neighbours are Turkey and Iran. There are just under 3.5 million Armenians, with a good number spread around the world. Most people can speak both Russian and Armenian and are mainly Christian. If want a chat, and calling from outside Armenia, then dial +374. You can ski in Armenia, but at the moment it is not on many skiers travel plans. If snow skiing not your thing, but water skiing is, then head to the lakes, where Lake Sevan is just one to see. Book cheaper rentals in Armenia. Armenian car rental comparison made easy. Faster vehicle hiring in Yerevan. The main industry is agriculture, but there is some mineral mining. Became independent from USSR in 1991. 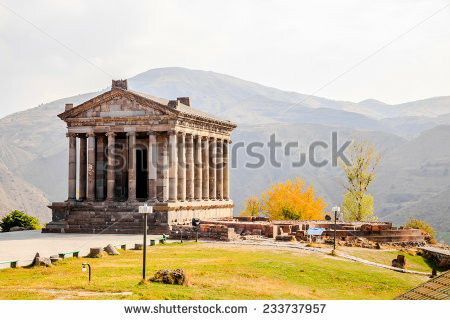 Armenia has a long history dating back to before Christ. If you like living at altitude, then head for Armenia as it is mainly mountains, with some over thirteen thousand feet. All of Armenia is at over 1,000 feet above sea level. 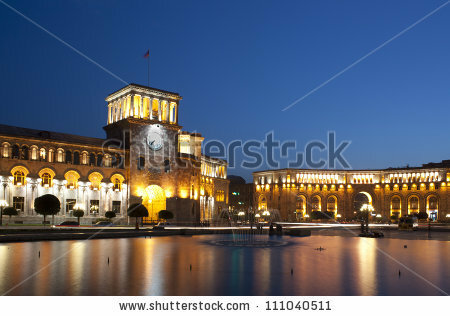 The capital of Armenia is Yerevan. Did You Know? - Armenia was the first country to make Christianity their religion. Football and muscle sports, like wrestling, are the most popular pastimes.